For the Film Development Council of the Philippines, the positive response to the first year of the Pista ng Pelikulang Pilipino (PPP) was the beginning of a tradition that not only celebrates Philippine Cinema but actively support its growth and development. 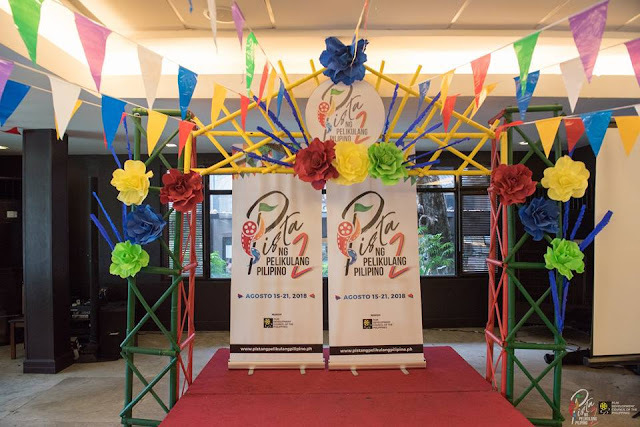 Launched in August 2017, PPP is a seven-day exclusive screening of quality genre Filipino films in all cinemas nationwide in line with the Buwan ng Wika. Now on its second year, FDCP aims to further maximize this time to holistically conduct a series of events and forms of support for Filipino films, from celebratory fiestas for the public to educational fora and conferences for film industry professionals. Pista will run from August 15-21, 2018. As with the usual industry practice, the gross sales from PPP shall be shared only between the film producers and theaters. During the PPP Media Launch held last May 3, 2018 in Quezon City, FDCP Chairperson Liza Diño emphasized that these endeavors aligned with PPP would allow for Filipino films to truly grow and take the leap from local to international distribution. “PPP comes at an impeccable time especially now that we are celebrating the One Hundred Years of Philippine Cinema. FDCP believes that beyond this centennial, it is high time for us to show the world the best of our films by pushing for international distribution. We want to inspire our filmmakers to reach audiences beyond our borders by producing films that are quality-made, well-developed, and produced with a wide local and global audience in mind. PPP encourages this by becoming their jump-off point,” Diño said. PPP is a partnership with all theaters in the country and kicks off the season with returning Selection Committee Members editor Manet Dayrit, cinemagrapher Lee Briones, and Director Joey Reyes with two new members - acclaimed Director Carlitos Siguion-Reyna and award-winning actress and producer, Cherie Gil. With an updated mechanics, PPP is welcoming new films produced from 2017-2018 which will have their Philippine Premiere in Pista. Furthermore, the second year of Sine Kabataan Short Film Competition. For young filmmakers aged 18-30 will be conducted under FDCP in partnership with The United Nations Children's Fund (UNICEF). As a new feature of the competition, will also have an educational and mentorship component through the Sine Kamp. Singer, actor, and youth advocate Ice Seguerra will serve this year as the Sine Kabataan Ambassador. As a support to its Filipino producers and on top of providing a nationwide platform for the distribution of their films, FDCP will also offer the chance for selected finalists produced by independent production to apply for a marketing and distribution grant. FDCP will also be committing for all interested PPP finalists to be part of the roster of films to be brought by the Agency in international film markets to support the producers in securing international distributors and agents. Another big event in line with the PPP is the Film Industry Conference (FIC), a two-day conference that offers both local and international perspectives on how to further strengthen Filipino filmmaking. It will focus on perspectives and will feature speakers from the Asian region, discussions will zero in on topics on filmmaking, from regional distribution, and regional co-productions to script development and film criticism and will be held from August 17-18, 2018. PPP will again be supported this year by different government local government units and agencies, and by Globe Telecom with its Play It Right campaign against online piracy. 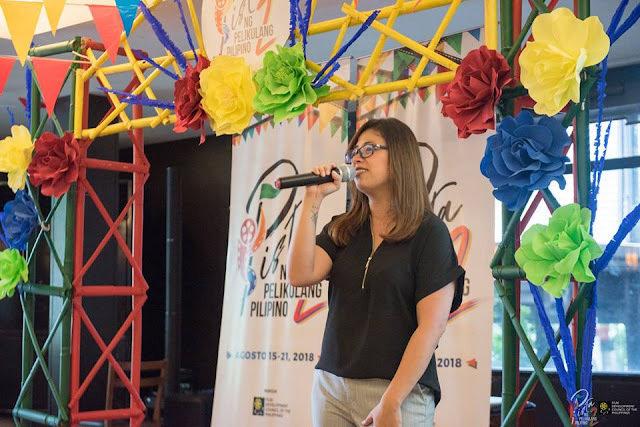 “With all of these added events and features of Pista, we hope for the Filipino audiences and film industry professionals alike to take this opportunity to both celebrate Philippine cinema in our country and take an active part in its next great steps towards international recognition and distribution,” Diño added. The eight (8) selected films will be announced by the first week of July 2018.